The Chinese Lantern Festival is lighting up Riverfront Park for a second straight year. After hugely surpassing expectations during its inaugural run last year, the Washington State Chinese Lantern Festival is back at Riverfront Park for another six-week run; it's on display now through the end of October. Even if you went last year and think you saw it all, this year's festival features all-new displays (except the 200-foot dragon, which is strategically placed in the shadow of the clock tower) and a much upgraded performance segment shown twice nightly. These live shows feature exciting acrobatics, martial arts and contortionists performing on a stage in the park's Lilac Bowl, with ample seating provided. 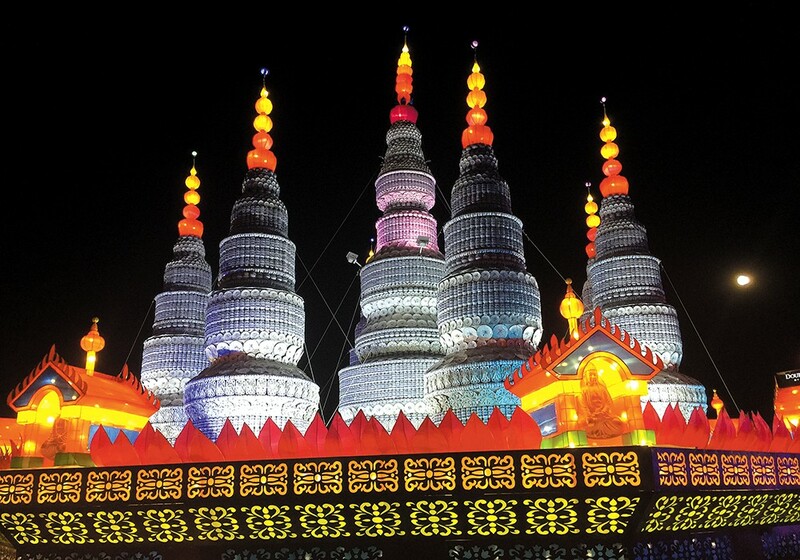 The uncontested highlight of this year's Lantern Festival is the massive Porcelain Tower, a beautifully illuminated pagoda structure adorned with thousands of pieces of flatware from China's Yunnan province. Visitors of all ages can enjoy displays that are both adorable (penguins, ocean animals, pandas) and significant to Chinese culture. The festival is open daily starting at 5 pm through Oct. 30. Tickets and passes range from $10 to $60, with senior, military, family and student discounts. Details and festival hours can be found at spokanelanternfestival.com.